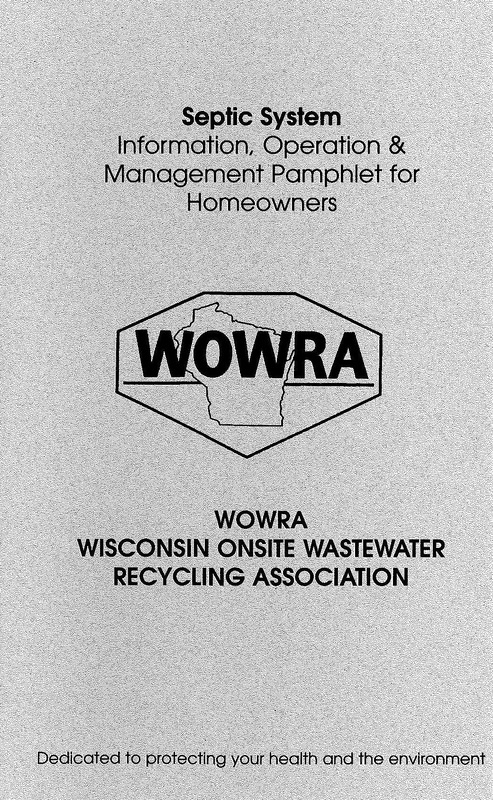 The WOWRA Homeowner's Manual is a great tool for onsite professionals to provide customers with information on their septic system. The manual includes information on septic system operation and management, and frequently asked questions and answers. Manuals are available for purchase for the low price of $.75 per manual. To purchase a copy/copies please contact the WOWRA office at 888-782-6815 or info@wowra.com.